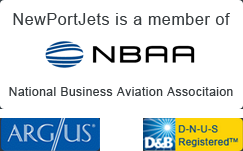 Newport Jets is a top private jet charter company serving Milwaukee, Wisconsin. Our team of Milwaukee private jet charter specialists are pros at scheduling and creating private jet travel flights in and out of Milwaukee. We are ready and waiting to provide first class local jet charter services to Milwaukee – and to create the perfect private, luxury travel experience. We not only handle your flights but our professional concierge team can recommend wonderful places for you to stay in Milwaukee. We have a large selection of Milwaukee aircraft including the luxurious Gulfstream G550 to the Learjet 31; Newport Jets has just the right private jet aircraft for your travel to and from Milwaukee. Our charter jet team specializes in booking jet charter flights to and from Milwaukee, Las Vegas, Miami, New York, and Los Angeles – as well as hundreds of other domestic and international locations. Milwaukee charms visitors year after year as a fun getaway and also a place to seal business deals. While Milwaukee is a major Midwest city which sits on Lake Michigan, it is known for its many distinct neighborhoods. The city is Wisconsin’s largest, a major seaport, and the site of the state’s manufacturing and commercial center. Milwaukee features an outstanding combination of modern and historic architecture with downtown high-rises and perfectly kept 19th century buildings from the city’s early days when the city was booming with successful German beer magnates. The city knows how to have a good time, which is seen with the annual Summerfest, the world’s largest music festival held every summer on the lakefront. The festival lasts 11 days, 11 stages with over 700 bands. MillerCoors Brewing and Harley Davidson call the city home. Every five years Harley Davidson holds a big celebration which attracts millions of riders; the next celebration will take place in 2013. Milwaukee is also home to the world’s largest breweries, Blatz, Schlitz, Pabst, and MillerCoors. MillerCoors Brewing Company is a main employer. You won’t want to miss a trip to the Pabst Brewery Complex, while it is no longer in operation, the features many vintage “old world” style buildings and serves as an icon for Milwaukee. The complex is being renovated for offices, condos, and restaurants. You’ll also want to visit the Pabst Mansion the former home of Captain Frederick Pabst, the internationally known beer baron, sea captain, developer, and major philanthropist. The mansion is considered a premier home on Grand Avenue, where the city’s mansions are located, and the finest example of Flemish Renaissance Revival mansion in America. The Domes in Mitchell Park is a major city landmark, with three glass domes – home to the city’s horticultural gardens and themed exhibits. The internationally known Milwaukee Art Museum has a collection of over 25,000 works of art from the present back to antiquity. The museum is known for its collection of decorative arts, German expressionist pieces, and American Art after 1960 are thought to be some of the country’s finest. The recently renovated, Intercontinental Milwaukee Hotel is located in the center of the city’s downtown – one block from Midwest Airline Center and a short distance from Milwaukee theater, Pabst, Marcus Center for Performing Arts, and the Milwaukee Art Museum.